Students will follow different pathways according to their KS2 ability. Homework: Students will be set homework twice per week. This will be a variety of activities from research, worksheets, mymaths online homework etc. How to help: The My Maths website www.mymaths.co.uk The school pays for individual student access to having website as it has PowerPoint’s for every maths topic. The students are set relevant tasks on the website. Securing: Factors and multiples, Decimals and measures & Angles and lines. 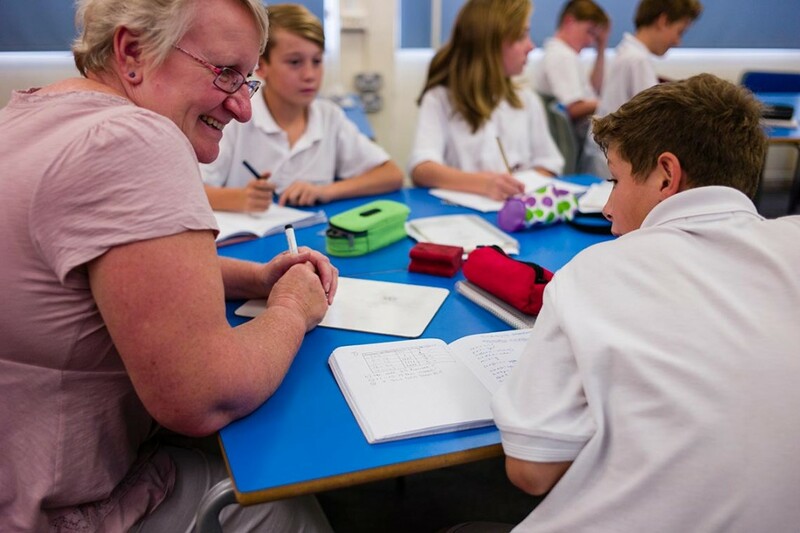 The students will all be given a Key Stage 3 MATHSWATCH CD which contains video clip demonstrations of all of the topics on the Key Stage 3 curriculum and also some very useful worksheets, with answers so that they can test their knowledge on any topic. Homework: Homework is set twice a week however some mock exam papers may also be set for additional revision in Y11. How to help: Edexcel GCSE (9-1). The My Maths website www.mymaths.co.uk. The Booster Packs are very useful for extending mathematics learning and revision. The Mathswatch CD Rom issued in Year 11. Higher Tier: Number, Angles and trigonometry, Graphs & Area and volume. Foundation Tier: Equations, inequalities and sequences, Angles, Averagres and range & Perimeter, area and volume 1. Homework: Homework is set twice a week and some mock exam papers may also be set for additional revision in Y11. Homework: Homework is set twice a week and some mock exam papers may also be set for additional revision in Y11. The homework is focused on past papers and from November onwards past papers are issued. How to help: Edexcel GCSE (9-1). My Maths (online resources). The Booster Packs are very useful for extending mathematics learning and revision. The students will all be given a MATHSWATCH CD which contains video clip demonstrations of all of the topics on the GCSE paper and also some very useful worksheets, with answers so that they can test their knowledge on any topic. From the October half term there will be weekly after school revision sessions. Throughout the rest of Year 11 we complete a practice paper every two weeks. This is then teacher marked and students are then set three areas for improvement. These will be worked on before the next paper is sat two weeks later. Homework: Homework is set twice a week however some mock exam papers may also be set for additional revision in Y11. The homework is now more focused on past papers and from November onwards past papers are issued. How to help: Edexcel GCSE (9-1). The My Maths website www.mymaths.co.uk The Booster Packs are very useful for extending mathematics learning and revision. The students will all be given a MATHSWATCH CD which contains video clip demonstrations of all of the topics on the GCSE paper and also some very useful worksheets, with answers so that they can test their knowledge on any topic. From the October half term there will be weekly after school revision sessions. Higher Tier: At this stage, we are concentrating fully on past papers and picking up points that students are unsure for the students to achieve their target grade or higher. Throughout the rest of Year 11 we do a practice paper every two weeks. This is then teacher marked and students are then set three areas for improvement. These will be worked on before the next paper is sat two weeks later. How to help: Edexcel GCSE (9-1). The My Maths (on line resources). The Booster Packs are very useful for extending mathematics learning and revision. The students will all be given a MATHSWATCH CD which contains video clip demonstrations of all of the topics on the GCSE paper and also some very useful worksheets, with answers so that they can test their knowledge on any topic. From the October half term there will be weekly after school revision sessions. During the May half term there will be a final Revision Workshop. This course is based on students who did not achieve a level 4 or wish to improve upon their previous year 11 grade due to further education requirements. At KRS we follow the Edexcel Boards’ Specification GCSE (9-1) which has been designed to allow a holistic approach to teaching and assessment. Each paper assesses all assessment objectives and content, with three units each worth 33 1/3 % of the final marks. Each paper is also ramped in level of difficulty to give students a starting point in each question and leads up to stretching the most able. Elements of functional mathematics have been embedded into the specifications and assessments. This introduction ensures that students have the skills they need to use mathematics in real life contexts. If a student has entered KRS from another school, it is possible to sit linear GCSEs from another examining board. Three written papers of 1 hour 30 minutes each. Paper 1 is non calculator; Paper 2 & 3 is calculator. How to help: There are plenty of websites available such as mymaths.co.uk, but also use the Mathswatch CD rom we issue to students. The AS course cover three different areas of mathematics, Pure Mathematics, Statistics and Mechanics. This is a stand-alone qualification and will not contribute towards the A2 level. The A2 course covers the same three different areas of mathematics, but will examine the same content as the AS course as well as extending each of these areas of mathematics. The Pure Mathematics modules build on the work you will have met at GCSE and extend topics such as algebra and trigonometry as well as introducing calculus which enables us to study curves in greater detail. Mechanics includes such topics as vectors, acceleration, velocity, distance, Newton’s Laws and projectiles. Further Mathematics is an A Level in its own right. Although some of the maths you would study is complex and demanding, generally Further Maths means “More Maths” and not necessarily “Harder Maths”. Further Maths A Level is an opportunity to deepen your knowledge and understanding of topics you are already familiar with as well as an opportunity to study different areas of Mathematical importance. Students will complete both their Maths AS and Further Maths AS levels in Year 12. They would then choose whether to continue with both or only continue with Mathematics. If both, they would then complete their Maths A2 level and Further Mathematics A2 level in Year 13. Yet again this AS course is a stand-alone qualification and does not contribute to the A2 qualification. For FP1 students will cover topics such as series, complex numbers, matrices & proof, for FP2: first order and second order differential equations, further series and complex numbers and for FP3: further matrices, differentiation, integration and coordinate systems, vectors, hyperbolic functions.